“The time to stand up for the American people and fight for wall funding is now. If the president vetoes a [continuing resolution (CR)] without wall funding, the American people and his allies in Congress will back him up. We’ll support him. The time to act is now. That’s why we were elected and it’s time we follow through,” North Carolina Rep. Mark Meadows, chairman of the House freedom caucus, told the The Daily Caller News Foundation on Thursday. Funding for the government was set to expire Dec. 7. However, the House of Representatives passed a two-week resolution to avoid a government shutdown by unanimous consent in a voice vote, meaning members did not have to be present for the vote. 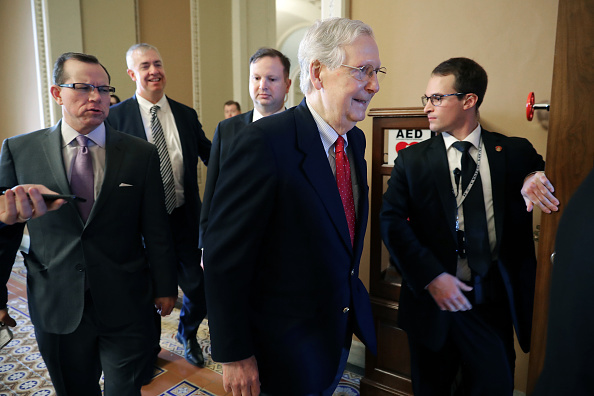 The Senate, which is in session, then approved the bill, funding the government until Dec. 21. The new bill would have funded the government until Feb. 8. However, the government will likely shut down Friday night, unless a last minute deal is made. Democrats will have control of the House beginning Jan. 3.